For many, Tony Iommi is the father of heavy metal since the formation of Black Sabbath over 40 years ago. Today that reputation is still one that is held in the highest regard and with that, today we’re going to take a look at the Tony Iommi Signature SG Custom from Epiphone. 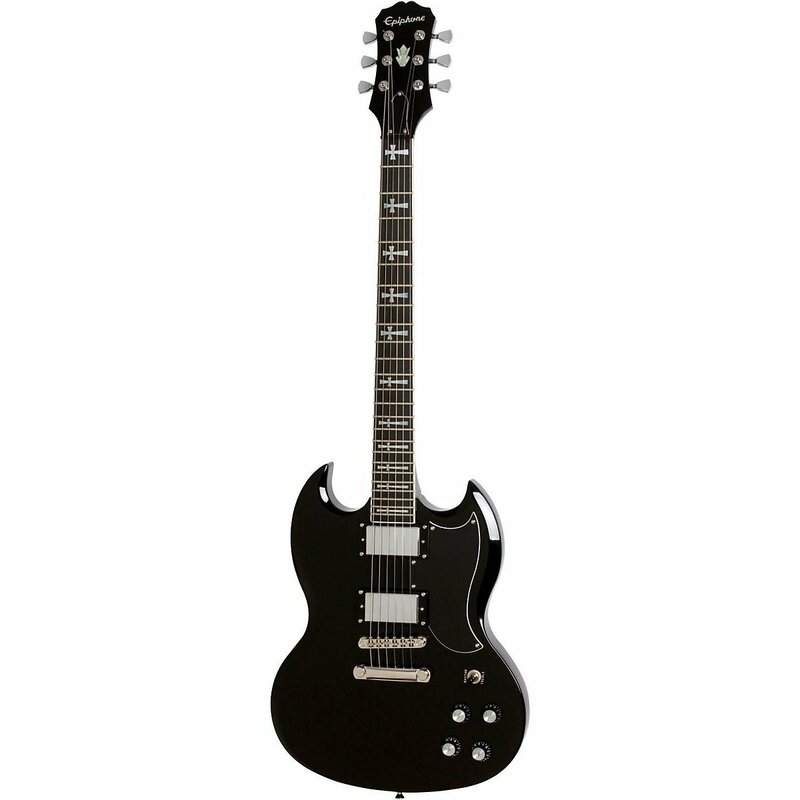 Not only does it look better than the Tony Iommi G-400 SG, it also feels a lot better too. The custom Tony Iommi Gibson pickups are in chrome on this model compared to black on the original variation of the SG. It’s these little details that make this SG look a lot more authentic and close to (one of) the SG’s that Tony has used for years. Being made in the USA and not China like some of the other Epiphones, the build quality is excellent. It feels extremely substantial in the hand, without it being unweidly and obtrusive. It does have the quality feel that you’d find on a Gibson or an Ibanez, and not a cheap, generic knock off. As we mentioned earlier, there are crosses on the inlays. These have been installed to an extremely high degree and they didn’t cause any issues during play sessions. In terms of sound, the instrument is spot on. Some other people have mentioned online that it did require to be setup slightly before it was in a perfect playing condition, but the general consensus is that it plays amazingly out of the box, which is something we’d also agree with. With the Gibson Iommi pickups installed in it, plenty of other users have been over the moon in terms of how well this guitar can play heavy metal music. However, it has also been noted that the guitar is extremely versatile for playing a wide array of music and not just heavy metal. Whilst this is fairly brief review, there’s not much else to say about this guitar. The Tony Iommi Signature SG Custom is an amazing guitar for a new comer or a seasoned player and comes with Tony’s seal of approval and therefore highly recommended. Of course, the sound quality will also depend on the amp that you’re using. You could have the finest guitar on the planet, but if it’s hooked up to a potato, it’s going to sound like a potato. You can buy it easily in the UK and also the USA. The Tony Iommi Signature SG Custom is a truly amazing guitar, and one that is befitting for the King of Heavy Metal.